Mohawk Commercial Flooring believes good design emerges from understanding your needs and your incredible capabilities. Through this understanding, we seek to inspire you and challenge perceptions of what flooring can achieve. Our designs empower you to exceed your goals and take your project further than you thought possible. Mohawk Commercial Flooring believes that pioneering and performance are integral to our DNA. Innovation is our commitment to listening carefully to your needs and then creating an exceptional product and service that can answer your challenges. Innovation is the heart of how we provide the better experience you deserve. Mohawk Commercial Flooring believes in meeting the world’s highest standards of sustainable design for commercial flooring. This drives our products and our business. It means supporting the ideals and goals of the most respected and ambitious sustainability organizations—because to do better, we must all work together. 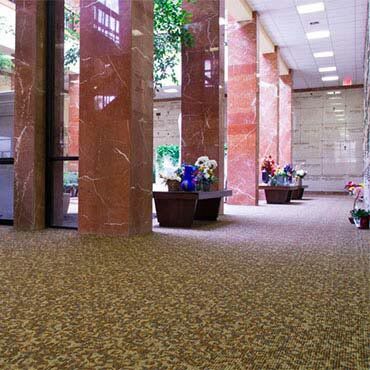 Mohawk Commercial Flooring believes in helping you answer every aspect of your flooring needs. We do this by bringing expertise and thought leadership to each of your specific needs, and by offering you the right products, services and custom capabilities for precise, inspiring solutions. Mohawk Commercial Flooring believes that excellence is the responsibility of every person in our company. It’s about passion—our intense desire always to be better at our specific craft. By virtue of this dedication, Mohawk Group gives you a consistently superior experience.